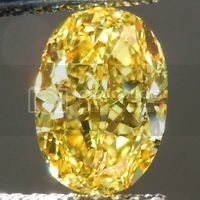 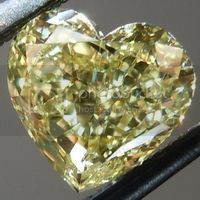 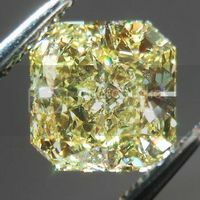 We buy large parcels of smaller natural yellow diamonds. 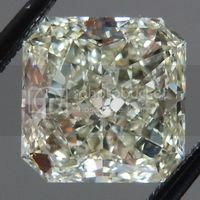 Generally we pick out matching stones first. 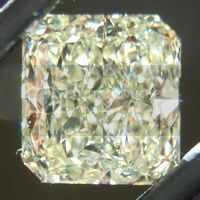 We make earrings- or if we have a set of three or five- diamond bands. 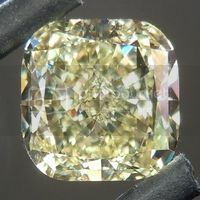 In this case, we had a few stones left that did not seem large enough for rings- and did not match well enough for earrings. 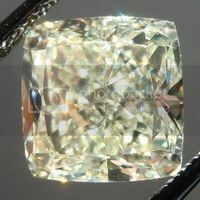 The center stone, a radiant, is set in a bezel that makes it look like a cushion- asymmetrical at that. 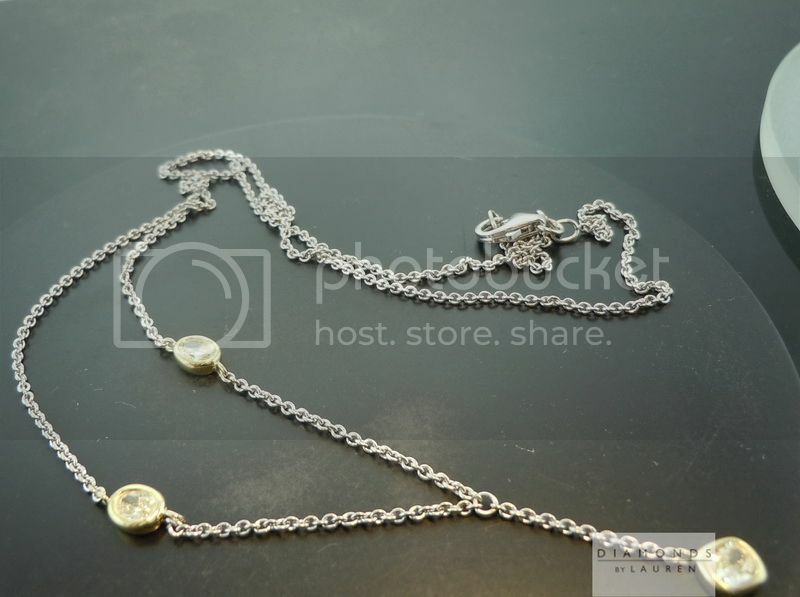 It dangles about one inch from the rest of he necklace, and was set on the diagonal (sort of) - I love this "funkiness" of the entire piece. 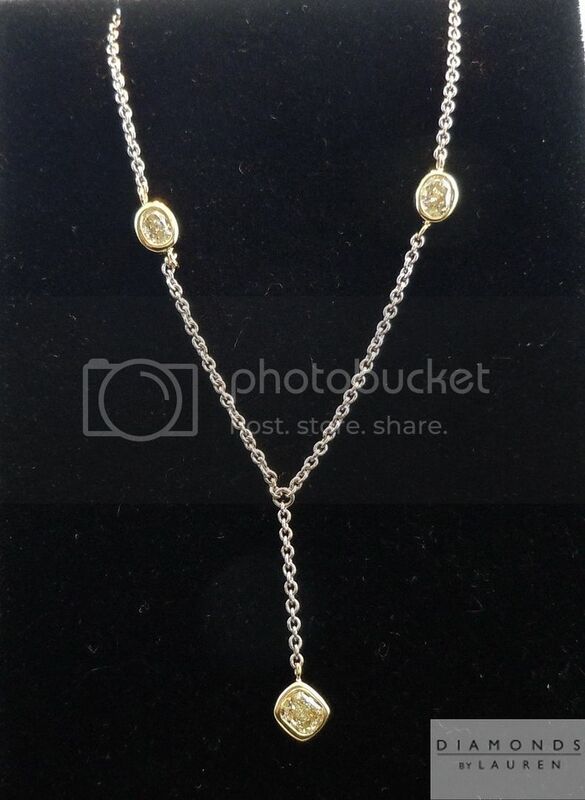 The two ovals going up the neck add spice... it's truly a one of a kind necklace.